Clumsy stereotypes of the Romani and Travellers communities abound, not only culturally in programmes such as Big Fat Gypsy Weddings, but also amongst educators, social workers, administrators and the medical profession. Gypsy cultures are invariably presented as ruled by tradition and machismo. Women are presented as helpless victims, especially when it comes to gendered forms of violence. The reality, however, is much more complicated. In Gypsy Feminism, Laura Corradi demonstrates how Romaphobia – racist and anti-Gypsy rhetoric and prejudice, pervading every level of society – has led to a situation where Romani communities face multiple discrimination. In this context, the empowerment of women and girls becomes still more difficult: until recently, for example, women have largely remained silent about domestic violence in order to protect their communities, which are already under attack. 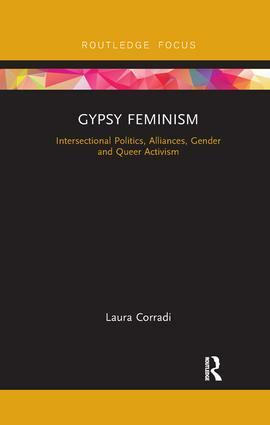 Examining feminist research and action within Romani communities, Corradi demonstrates the importance of an intersectional approach in order to make visible the combination of racism and sexism that Gypsy women face every day. This concise and authoritative book will appeal to scholars and students in the areas of Sociology, Cultural Studies, Women’s and Gender Studies and Anthropology, as well as Politics, Media Studies, Social Policy, and Social Work. It is also an invaluable resource for activists, community and social service workers, and policymakers.